You mean just for practice? You can get a Velocity clone from Fasttech for like $6USD, I would bet you can't find a practice deck that cheap, if they even exist. Maybe I don't fully understand what you're looking for. I'd second TW. 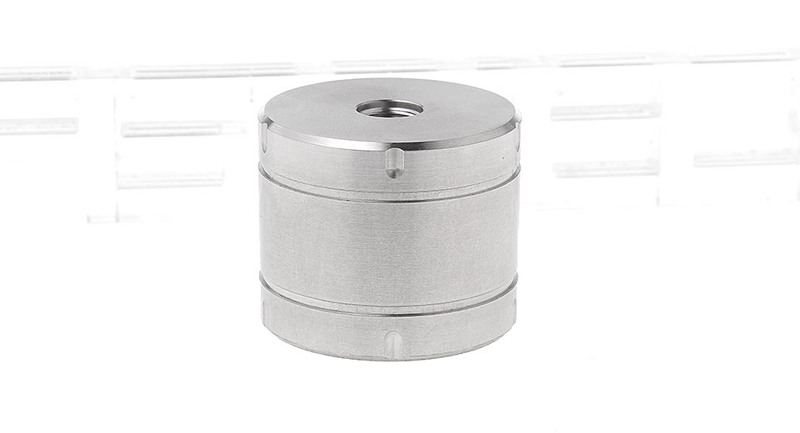 Just get a cheap dripper from Fasttech, Focalecig, Gearbest, Cvapor, whoever. Chuck the cap into a parts box - you may have a use for it one day. It's also a good idea to get some sort of atomiser stand, preferably a heavy one as it makes building so much easier when the atty isn't dancing all over the table. Something like this is handy. I'll send you one on me, a complete rda that is, you have to experience your creations good bad or ugly! I reckon it'd be cheaper to buy the cheapest RDA FT sell than to try to build an equivalent. Probably most of the folks round here (or at least the UK ones) have atties they no longer use and wouldn't mind posting to you. You honestly can't build a 'test' coil without vaping it. You may think it looks lovely, but vaping and looks differ. If it's to low to the deck, too high, too much cotton, too little, good flavour, good vapour.. these things can't be bench run, you have to feel it first hand or your good looking coil doesn't mean anything. Ohms mean nothing! Will it dry hit? I know what your after, but it's like missing all the lessons and passing the exams.. not going to work bud.